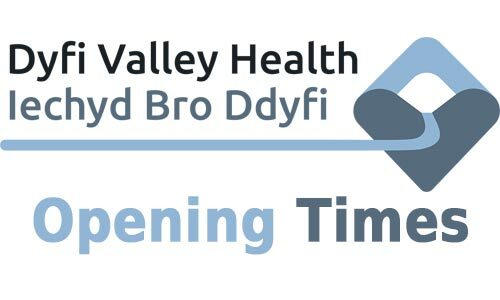 We regret that due to unforeseen circumstances the Cemmaes Road branch of Dyfi Valley Health will have new opening hours from Monday April 9th. The surgery will be open all day Monday, all day Tuesday and Thursday morning. This will be reviewed in September 2018. We have a GP on maternity leave, who re-joins us in September, so we will review this difficult decision at that point. We appreciate that this is inconvenient and worrying for patients. However, to ensure safe medical standards we have no choice. Patient care is paramount. The decision has been taken in conjunction with the Local Health Board, who support the decision fully. Machynlleth surgery will continue its current opening hours. A large proportion of our patients are within a short distance of Machynlleth. We will ensure that poorly patients who have difficulties with transport will be given priority appointments nearest to their home. We hope that patients will bear with us at this difficult time, and we promise to keep you up to date with any new developments as they occur.